All US-Mexico border traffic has been halted at the busy crossing between San Diego and Tijuana, the US Customs and Border Protection agency has said. 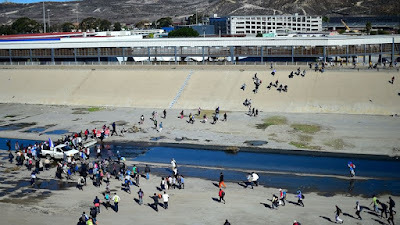 It comes as hundreds of Central American migrants massed at the border intending to apply for asylum in the United States. Traffic in both directions has been suspended at the San Ysidro port of entry, the agency said on Twitter. US President Donald Trump has raised alarms about the caravan of migrants as it approached the United States, and has deployed military forces to the border to support the Border Patrol. 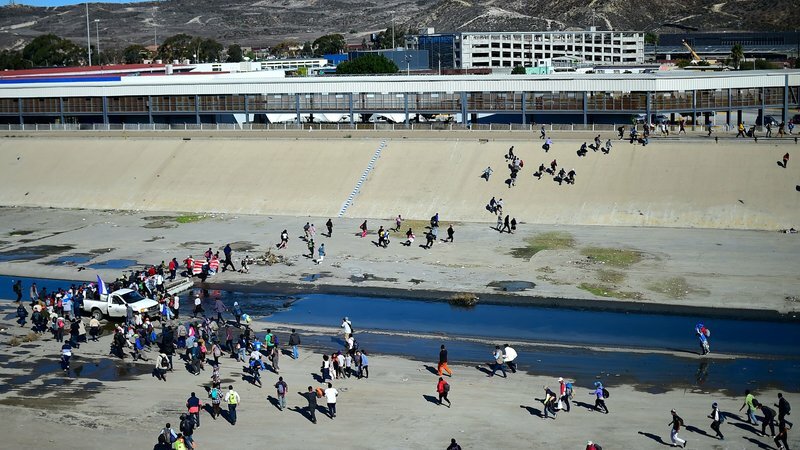 Mr Trump tweeted on Saturday that migrants at the US-Mexico border would stay in Mexico until their asylum claims were individually approved in US courts, but Mexico's incoming government denied they had struck any deal.